Corner sweet shop products that have gained popularity in their immediate neighborhood now aspire to wrap the modern way and be in demand around the world. 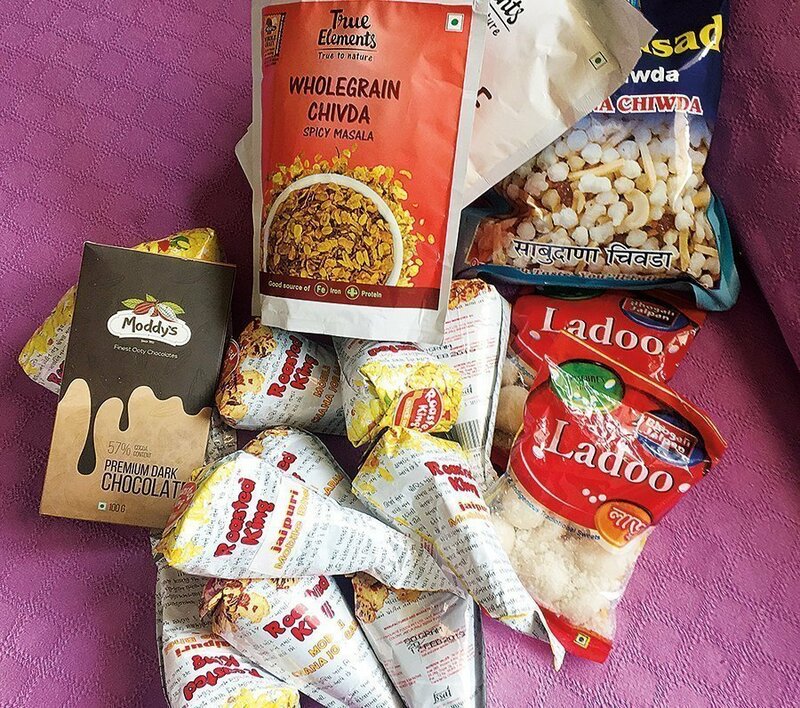 They appeal to a sense of nostalgia or ‘swadeshi’ pride among the upwardly mobile Indians who want to seek out the products of their gully-shop even while living in faraway metropolitan international cities. ‘Gully Boy,’ a recent popular Bollywood film by Zoya Akhtar, depicts the story of one man’s struggle to chase his dreams and transcend his socio-economic class. The film showcases how street hip-hop RAP music rises out of the ‘crevices of Mumbai’s by-lanes and gains popularity with a global audience. With the current profusion of talent shows and reality TV in India, the possibilities of such magical rise to fame are not unimaginable. To paraphrase from a story by Reuters correspondent Shilpa Jamkhandikar, “Fame hungry children driving India’s reality TV boom: Riding a Western-led shift towards reality TV and reflecting social changes in India’s booming economy – everybody wants to see the transition from a nobody to a somebody in front of their eyes.” (https://in.reuters.com). Indeed, everybody dreams of becoming a Slumdog Millionaire. It can be said that such enthusiastic energy and aspiration is evident in the consumer product space too. Corner sweet shop products that have gained popularity in their immediate neighborhood now aspire to wrap the modern way and be in demand around the world. They appeal to a sense of nostalgia or ‘swadeshi’ pride among the upwardly mobile Indians who want to seek out the products of their gully-shop even while living in faraway metropolitan international cities. Obviously this strong link between food and identity has attracted the attention of many entrepreneurs – old and famous as well as young and dynamic. One of the most recognized (and oft quoted) examples of a product capitalizing on this link between memories, identity, nostalgia and food is the Hector Beverages brand Paper Boat of course. Among the 12 variants the brand offers, there are the popular jal jeera and aamras as well as unique regional specialities such as panakam, a traditional jaggery based drink made in South Indian homes on festival days. Now the Place of Origin online marketplace offers products from about 300 small and big regional producers. 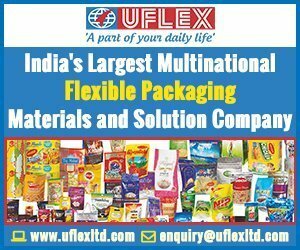 You could order Nolen Gur Sandesh from Ganguram, Kolkata or Mathura Peda from Kesar Sweets, Jaipur or Coconut Laddoo from Bhogali Jalpan, Guwahati. In addition, Sabudana Chiwda could be delivered direct from Pune and Mamra Badam Puri from Ramanlal Vithaldas & Co, Mumbai. Babusingh Thakur Pedhas could come to you from Dharwad and Maganlal Chikki from Lonavla. Everything mouth-watering across India is just a few clicks away on the website. An assortment of roasted Chana Jor Garam innovatively presented in conical laminate pouches designed to look like old-fashioned newspaper packs that such products were sold in on the streets and parks of Indian cities. The pouch laminate is PET/METPET/POLY and heat-sealed to a triangle shape. Overall impression of the pack is nostalgic and yet fun for the young generation. Laddoos made from coconut powder and packaged in PET/POLY pouches with partial print, allowing the laddoos inside to be seen. Though the pouch is brightly printed and has a bilingual design, the quality of print is poor and there are several proofing errors in the artwork. The laddoos were partially crushed and powdered inside the pouch. A large 500 grams three-ply thick laminate zipper pouch reasonably well printed. 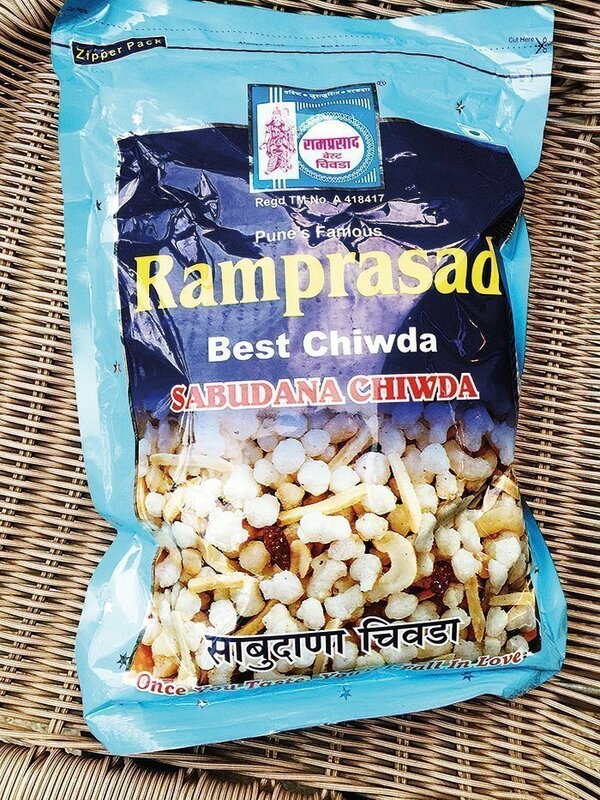 The branding of Pune’s Famous Ramprasad stands out boldly though the print quality of the chiwda itself leaves much to be desired. ‘Once You Taste, You’ll Fall in Love,’ the pouch proclaims perhaps hoping that young people will choose this family-pack size pouch to woo their Valentines. This is a slab of 5 mm thick dark chocolate wrapped in gold printed aluminum foil and packaged in a FBB reverse tuck mono-carton. 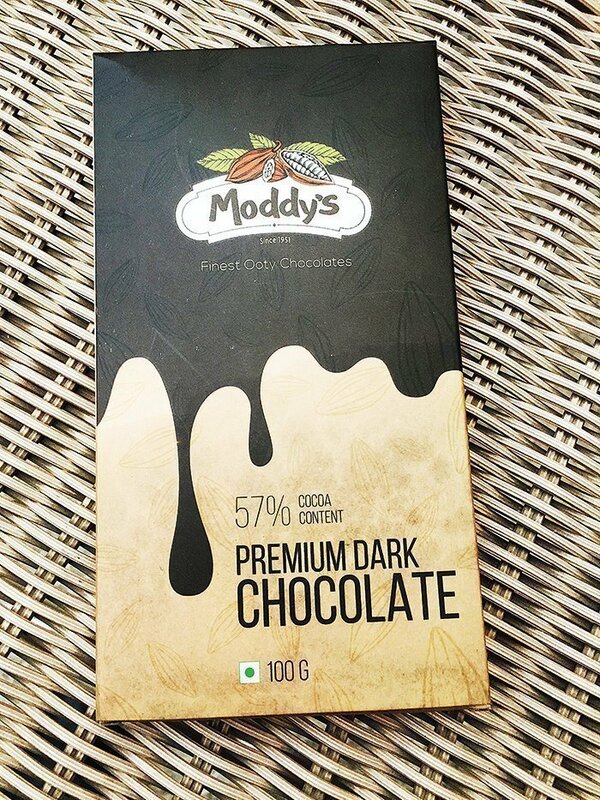 The graphic design is minimal and well laid out to depict melting chocolate, through which the Moddy’s logo stands out sharply. The problem however is that the carton width is over-size by almost 25 mm in comparison to the slab width inside. Another problem is that the chocolate had melted inside the carton resulting in staining of the carton and an unappealing chocolate mess inside the pack. A neatly packaged set of four small Dark Chocolate with Jaggery Bars (40 grams each) in a simple shell and slide carton. Each bar is wrapped in gold printed alu foil. A simple card placed inside the box carries contact details of the Jagger website, which features several contemporary looking gift packs of products made from jaggery. The attempt is obviously to attract young people towards an out-of-fashion product like jaggery. But the obscure branding and lack of product info leave a lot to be desired. This is a combo-offer pack of 500 grams Black Rice with 100 grams Wholegrain Chivda. Both products are in milky white two-ply standipacks with zipper tops. The pouches are labelled on both sides with PP film labels printed in multicolor. The branding with True Elements is strong though the design does not appear up-to-date for the intended target audience. These were just a few of the hundreds of gully shop or start-up products featured on the Place of Origin website. As I said, the website appears to welcome all comers – old and famous or young and restless. A large swathe of India’s food culture is on display. There may be several other similar websites and retail operations that have the same idea and the same aspirations. The new wrapping gully boxes will soon be ship-shopping your way! An engineering graduate from BITS, Pilani and a Post-Graduate Diploma from Milan, Italy in Human Factors Engineering. Over 40 years of work experience in branding, packaging design & development. Worked as head of as Head of Packaging at Oriflame – Silver Oak; Dabur India and Ranbaxy Laboratories. Currently - an Associate with The Packaging Consortium – a packaging development consultancy. 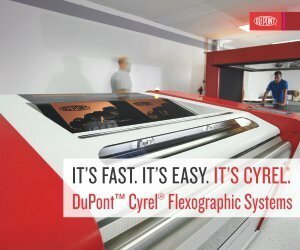 Worked closely with Jindal Polymer Films for Application Development of Specialty Films for flexible packaging. 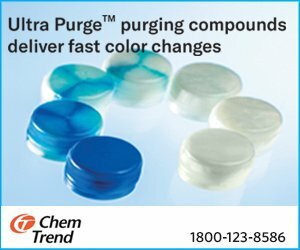 Now a packaging consultant for some reputed companies. He is also an Associate Director with Firstouch Solutions – a design company providing services in Brand Comm, Packaging, Exhibitions and Branded Retail Environments. He is closely associated with the Indian Institute of Packaging as a Member of the Northern Regional Committee. He is also active as a contributor to Packaging South Asia magazine and other journals and at forums and conferences. Has been writing articles on packaging design and marketing for Packaging South Asia since 2007.